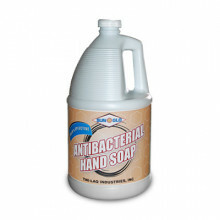 Click the button below to add the ANTIBACTERIAL HAND SOAP to your wish list. A premium translucent amber colored Antibacterial hand cleaner. All the luxury of a gentle, pleasantly scented hand soap with the additional benefit of antibacterial protection.